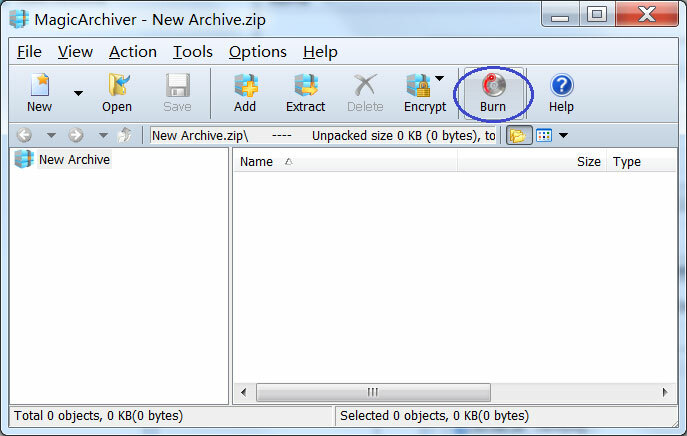 MagicArchiver can burn iso file and other compact disc image files, including bin, cue, mdf, mds, nrg, daa, and etc. It can analyse disc image formats automatically. MagicArchiver supports CD, DVD, or Blu-ray discs. If the destination disc is re-writable and not empty, it can be erased before burning. 1. Run MagicArchiver, click "Burn" button. 2. The "Burn compact disc image file" dialog will show. 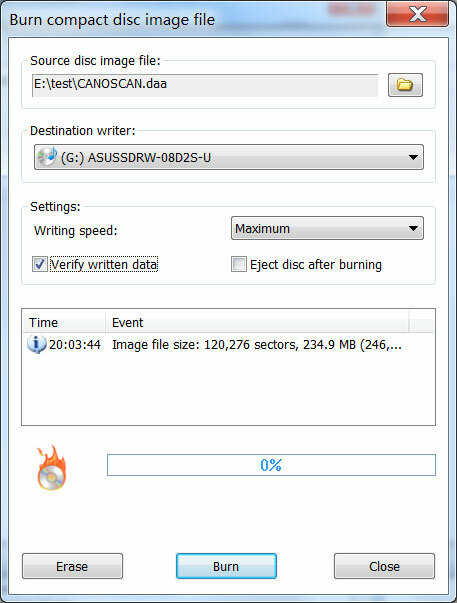 You can select the source disc image file and the burning drive in the dialog. The default burning speed is set to maximum speed. You can select a slower speed from the speed list if you don't want to burn the image at maximum speed. You can also change other settings as desired. Click "Burn" button on the bottom of the dialog to start burning. 3. MagicArchiver will start burning the image file to the disc. If the disc is rewritable and not empty, The program will prompt you to erase the disc automatically. If "Verify written data" option is checked, MagicArchiver will verify the destination disc to make sure all data is written correctly.